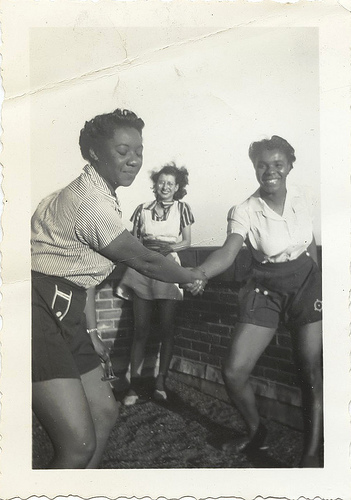 Leading and Following in Lindy Hop are both fun roles with a different – but equally challenging – set of skills and different outlets for creativity. Typically students choose a role in their first class and stick with that role forever. But at JazzMAD we encourage all our students to learn and social dance both roles. 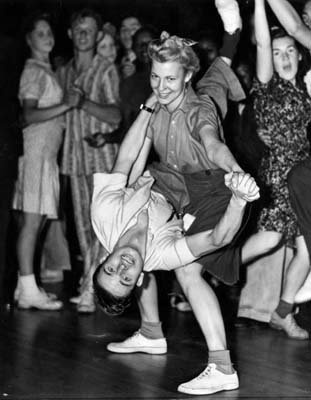 If you take our Swing Dance Beginners Course you will learn to Lead and to Follow from day one. And all our higher level classes use gender neutral language to support students dancing in non-traditional roles. There’s so many reasons learning both roles is a good idea – technically, musically, creatively, socially! Learning to Lead is a great way to audit your Following skills by revisiting your fundamentals. You’ll also increase your empathy as a Follower by walking in the Leader’s shoes. Learning to Lead can improve your sense of musicality, as you need to listen to the music and be responsible to it in a totally different way to Following. It’s not that Leaders are more or less musical than Followers, just that there are different opportunities in each role to translate the music into dance, and express your own musical/rhythmic ideas. Revisiting your basics as you learn to Lead can help fix problems you might have with your dance fundamentals like posture, coordination, proprioception, using your centre, shifting your weight, frame or pulse. The efficiencies you learn while Leading will crossover to your Following too. Good Following involves putting a lot of trust in the Leader. Understanding the Leader’s role better will help you trust them more on the dancefloor. This means you are less likely to “anticipate” or take nervous unled actions as a Follower. As a Follower do you ever feel like you “disappoint” your Leader by “missing a lead”? Experiencing Leading will help you get rid of that mistaken and pointless feeling. Leaders are never “disappointed” in their follower for “missing a lead”. The dance is a collaboration and a two-way conversation. Mistakes are both and nobody’s fault… or to put another way, there’s no such thing as a mistake in Lindy Hop. Leader’s genuinely feel this way – or if they don’t, they’re a blameful jackass and that’s got nothing to do with you! Get rid of your Follower guilt by seeing the dance through Leader’s eyes. Get more confidence! Being a swing dancing champ (who can swing anyone out) feels awesome! Be your ultimate swing self by dancing this whole dance… not just half of it! It’s impressive, it’s inspiring, it’s cool… be that person! 7. More dances at the party! If you can dance and enjoy both roles, you can ask anyone to dance. You never need to sit out for lack of a partner again! And it’s a double bonus – you get to dance, and so does your partner, another Follower who was also sitting out. The benefits multiply for your fellow Followers, so do it for your tribe! Since we so often socialise with only members of the opposite dance role to us, it can be hard to make friends with other Followers. Lead and you’ll get to know these wonderful, fascinating, unique people waiting to be your friend! And why not propose a practice session, to practice Leading on each other, as a way to get to know another Follower better? 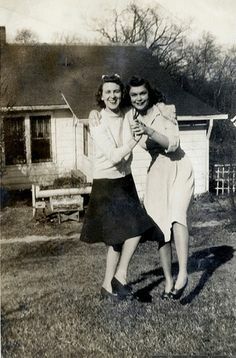 If everybody danced both roles, I genuinely believe the swing dance community would become more equal, more friendly, more inclusive and safer too. One mission in my life is to pass on what I humbly learned from the legendary Frankie Manning. 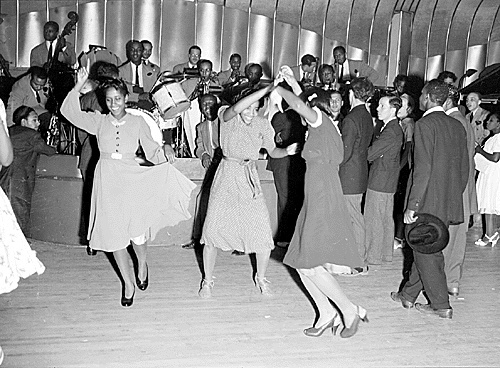 And what I’m describing is the community of swing dancers that Frankie envisioned. A true community among dancers, with mutual respect and cooperation, inclusivity and warmth. You can read more about Frankie’s values at the Frankie Manning Foundation website. 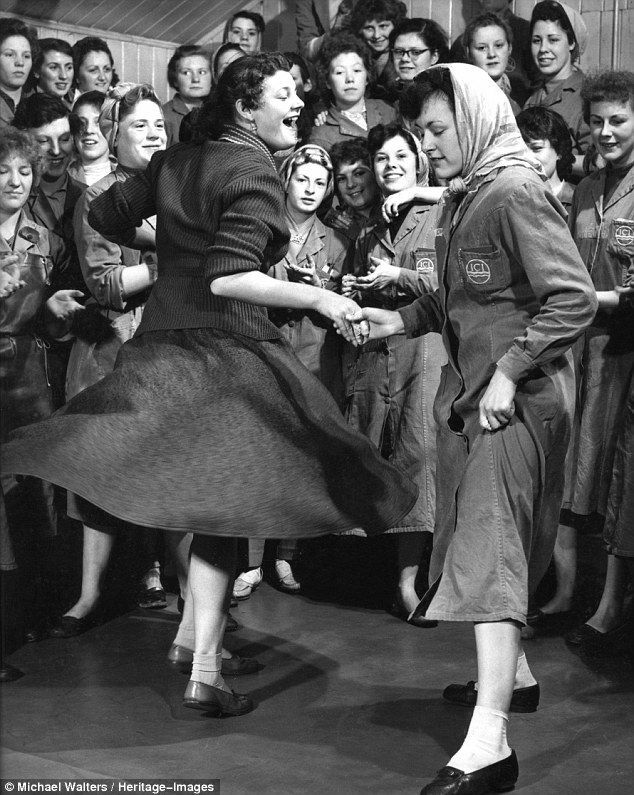 In general we swing dancers like to think of ourselves as progressive, liberal, creative and open-minded people. But a statistical look at our community shows it’s actually very homogenous and heteronormative, and on occasions it can sadly be a bit homophobic or misogynistic. I can understand that. We revived an antique dance, based on an antique social code. We are still figuring out how to stay in touch with the roots and spirit of the dance, but reconcile that with modern values. This isn’t about blame. This is about moving forward. So let’s do it! Be a role model and inspire others to join the revolution! Let’s build the culture that Frankie dreamed of and be a force for good in this crazy world!